At the end of the 1970s, François Mitjavile took charge of the property that his wife Emilie had inherited from her father. The vineyard, which at that time was known as Château du Tertre, had long since lost its prestigious reputation. And yet vines had a long history of being grown there, dating back to Roman times. The residence and the winery date from the end of the 17th century. 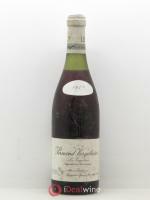 Furthermore, the property is listed in the 1929 edition of the Féret guide, the bible of Bordeaux's vineyards. 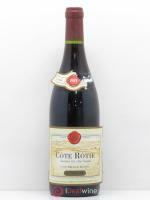 François Mitjavile renamed the property Le Tertre Roteboeuf, adding the name of one of the plots on which the vineyard was planted to the original name: Roteboeuf in old French refers to the trouble that oxen had climbing the steep, dry hill. This is an unusual terroir: located on the edge of the hills, near Pavie, the vines grow in arid soil that is baked dry in the summer heat. A disciple of Emile Peynaud, François Mitjavile decided to resuscitate this sleeping beauty and update the techniques being used. The first in the region to introduce permanent grassing in the vineyard, he also reduced the height of the vines, to enable the grapes to fully benefit from the heat in the soil. 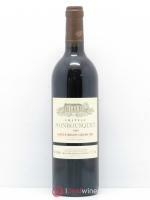 After vinification, the wines are carefully aged for 22 months, with frequent racking. Success was not slow in coming: the 1982 vintage immediately placed the wine at grand cru level, with its delicious fruit and the surprising evolution of flavours, that begins when the wine is still very young.